If your 401(k) match is missing, consider making changes. Over time, your employer's role in supporting your retirement has probably decreased. Once, employers funded generous pensions that provided guaranteed income for life, no matter what. These days, employer matching funds for employee contributions to workplace 401(k) plans are getting shifted, cut or even eliminated. If you're the victim of a 401(k) plan contribution cut, you can mitigate what you're losing from your employer, but it could cost you. If your employer was matching your contributions before he stopped, you can usually increase your contributions to replace his matching funds. 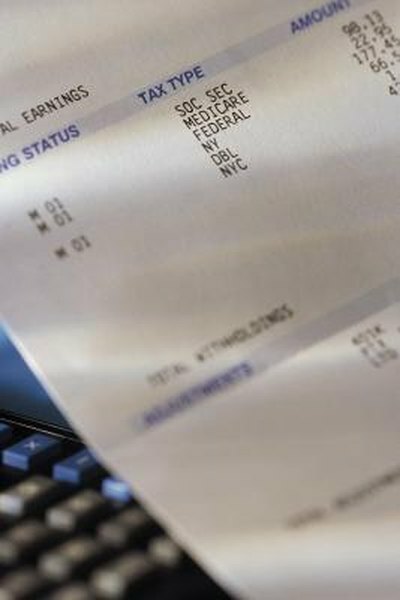 While this will cost you a bit, increasing your contributions by 3 percent of your income, for example, will only decrease your after-tax net pay by around 2 percent. Even if you have to economize to make up for your smaller paycheck, you'll be keeping your retirement on track. While it's always a good idea to pay attention to the fees you pay in your 401(k) account, it becomes particularly important after your employer's match gets canceled or reduced. It's entirely possible that you could be paying more than 2.75 percent of your account's balance in fees every year. These fees apply to your entire balance, so they can have a gigantic impact. For instance, if you have a $200,000 balance and you're paying 2.75 percent in fees, they're costing you $5,500 per year. Losing a 3 percent match on a $150,000 salary costs you $4,500 per year. With this in mind, sit down with your company's 401(k) benefit administrator and find out what the fees are. If they're onerous, consider putting less into the 401(k) and shifting every dollar you would have put into your 401(k) into a retirement account with low-fee investments, up to the Internal Revenue Service's limit, which is $5,500 for 2013, or $6,500 if you are 50 or older. Another way to make up for a cut to your 401(k) is to squeeze the value out of other workplace benefits. For instance, if your employer offers a flexible savings account program that you aren't using, the tax savings could add up to $1,000 or $2,000 per year, helping to defray your lost match. Employee discounts at vendors you use can help, as well, as can cashing in unused leave. The more money that you can get from your employer, the more you'll have to put into your savings. Quitting to go to a company that still has a 401(k) matching program might not be a good long-term solution since there's a chance that company will cancel its program in the future. However, leaving to make more money can help to pay for what you're losing in an employer match. If you can get a generous signing bonus, that alone can cover a few years of matching income, as well. Finding a new position can also free up all of your 401(k) funds so that you can roll them over into an account with lower fees, letting all of your money work harder for you. Keep in mind, though, that switching jobs could have other drawbacks, such as a loss of seniority or less time off. How Much Should I Put in a Simple IRA? What Are Typical Roth IRA Maintenance Fees? What Is the Limit You Can Put in a 401K if You Are Over 55? How Does Your Company's 401(k) Plan Stack Up?